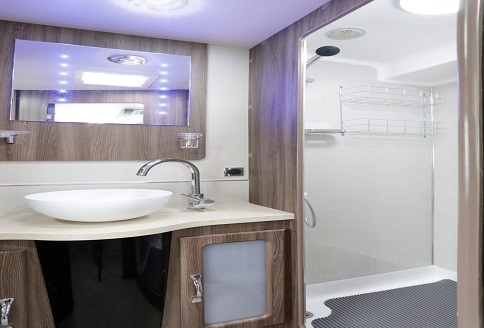 Also, the Auto-Sleeper Winchcombe has a huge rear washroom. In fact, this provides another option, as a changing room – it’s that big! 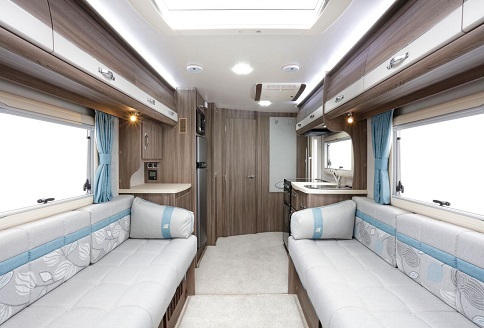 So, whilst this remains as a genuine two berth motorhome, it has great living space. In addition, the front lounge is an exceptional space along with the top of the range, central kitchen. 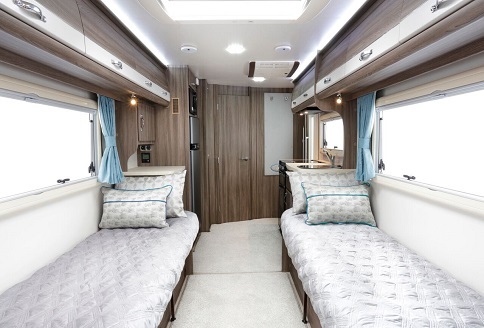 So, the key feature may well be the luxurious, spacious end washroom or it could be the huge living space. There’s plenty of lounge space, ideal for other guests to come along and dine or relax over a coffee, or something stronger. 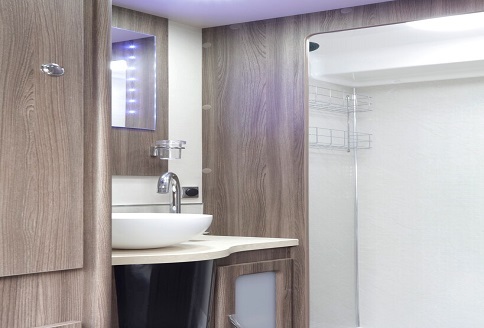 So, there’s more than enough room in the washroom and a separate shower is on hand too. Therefore, all of these home-from-home comforts are not too far away. 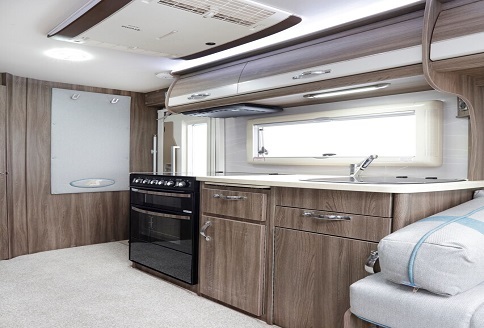 So, with a fabulous living space, great specification and unrivalled quality, the Winchcombe is second to none; a true flagship. 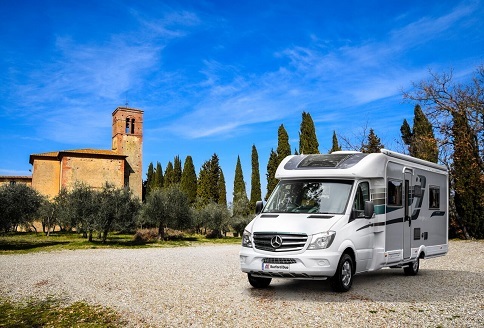 In fact, the Mercedes Benz chassis is a true flagship too, ideal for any form of luxury motorhome and for touring long or short distances. So, with a lot of standard equipment and powered by the powerful Mercedes turbo diesel 163 bhp, what else do you need? In fact, there is an upgrade option for the engine and gearbox. Standard is the five-speed manual gearbox. However, upgrades via the premium Pack are available to make it a seven speed Automatic with paddle-change. There is even the option of a powerful V6 engine, but this isn’t really needed. Other enhancements also come with the Premium Pack. 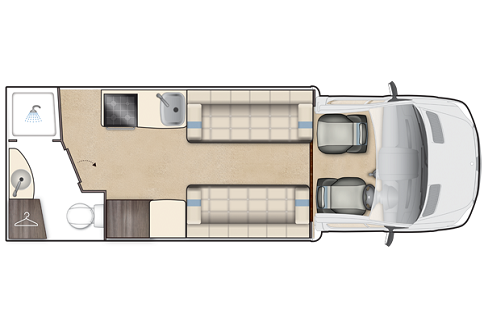 An 80w solar panel, cab air conditioning, cruise control, alloy wheels, awning, MBUX Infotainment system with navigation and a colour reversing camera for example. 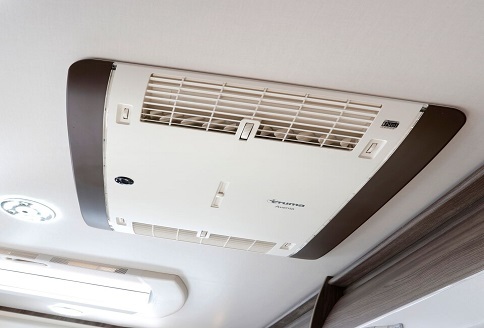 Also, with great standard equipment like the popular Bluetooth connections, adding the premium packs will enhance the luxury and usability of the Winchcombe even further. Alongside the standard premium pack is the additional media pack offering satellite TV. 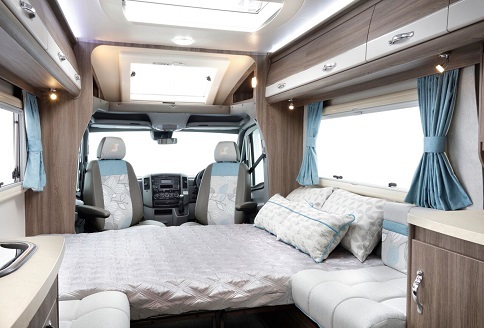 Auto-Sleepers winter protection pack, on the Mercedes range only, forms part of the Premium Pack. 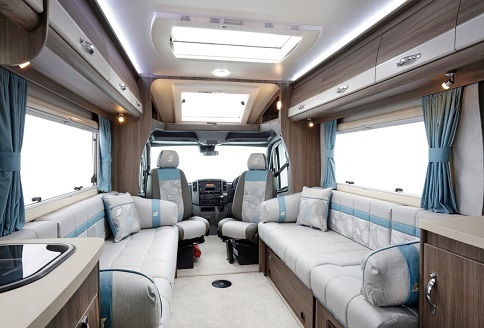 Therefore, there is much more available to take the specifications way beyond most other luxury motorhomes.